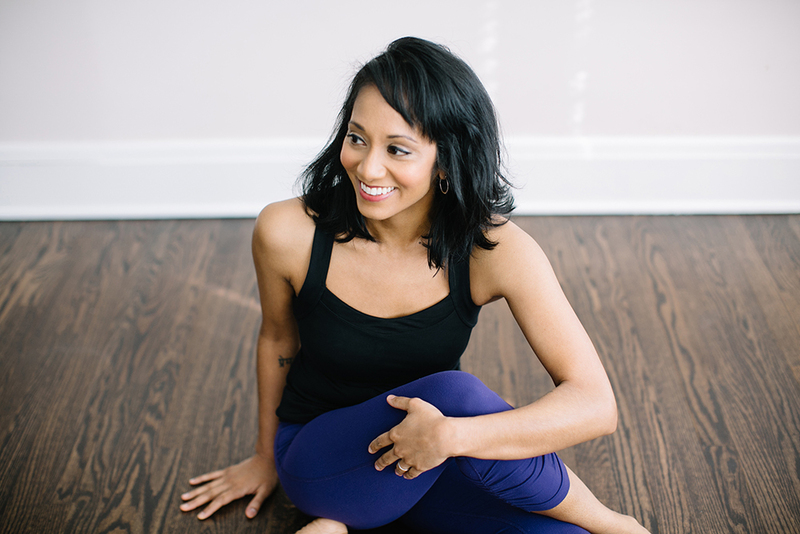 We had the pleasure of talking with New York-based yoga teacher Sangeeta Vallabhan. 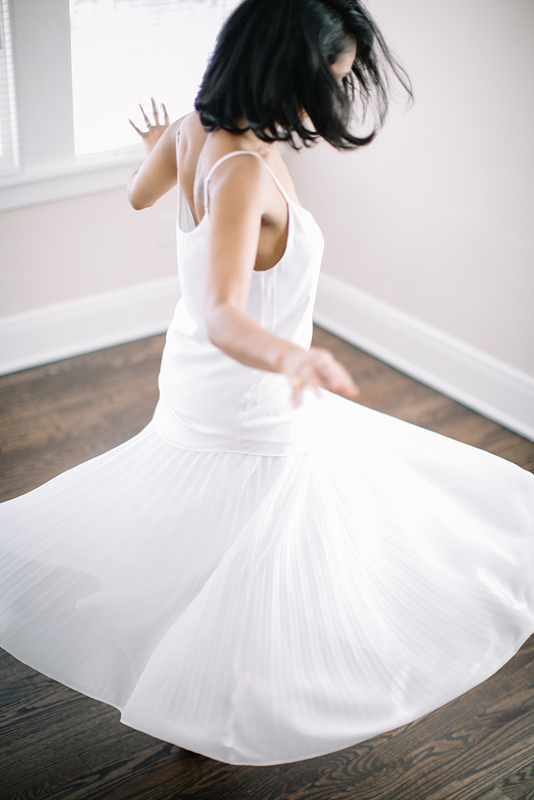 Sangeeta comes from a background in dance and has 1200 hours of yoga teacher training, including trauma-informed and prenatal yoga methods. She teaches with an emphasis on discernment – challenging herself and her students to question their choices and decisions in their practice on and off the mat. She brings us back to some earlier roots of yoga by weaving spiritual and philosophical teachings into her sequences as a way to give her students more than the physical practice. Sangeeta, can you introduce yourself to the Setu community? My name is Sangeeta Vallabhan. I’ve been teaching yoga in NYC for over 14 years. I fell into teaching, I wasn’t seeking it out as a career to embark on. I was kind of lucky that way. I was a dancer and started teaching part time on the side. As I started dancing less and teaching more, I found that I enjoyed teaching and over time slowly beefed up my education and certifications. I love it. I feel very lucky I fell into something else I enjoy. In a previous conversation you mentioned the importance of students taking classes from different teachers. Can you share the value you received from your 1200 training? How do you suggest students go about trying new classes? I think there is value in having a [single] teacher, when people study with one particular person and studio. Without a doubt there is value in that. What I question is: is there value in being with one person, in the whole arc of your practice and your life? The years go by and your life experiences push and pull you forward and backwards. I think it’s natural to study with someone and get to a point where you want something different. Your tastes as a yogi are going to change. It’s natural to try something at one point and maybe not like the teacher, method, or style, then a few years down the line you try it again and you’re blown away and want to learn more. When you’re studying one method with one teacher, it’s very easy to say ‘this is what yoga is or this is right and that’s not, my practice is good because of ABC and that practice isn’t because of DEF’. Very easily there’s a lot of comparison that takes away from the bigger picture of yoga and union. When you study with different people, it softens those edges and teaches you to see the best in everyone and see the value in what other teachers, methods, and styles have to offer. You’ve talked about the importance in preparing for classes rather than showing up without a sequence or focus. How do you prepare? Do you write out your sequences, recite them verbally, etc? I do write [my classes] out. Writing really helps me. I feel like if you write down what you’re planning on doing, then it’s there in front of you and it’s easy to edit and adjust for what you need. A studio I used to teach at had a focus of the month — and actually many studios do. That way all the teachers in their classes have some kind of theme, whether it’s philosophical or asana based. What I do now is map out a theme, usually for 2-3 weeks of teaching and do that for the year. Then I plan an asana I can link back to whatever the theme is. I play with the general structure of the asana class a little bit; more or less I keep it the same. When I used to teach more often, there was a desire and I think an expectation within the communities I was teaching in to have a new class every week. I don’t think that is necessarily needed these days. I think even when people are regulars in your class, they appreciate some repetition and the opportunity to do your class from last week again with a fresh mind and body. Maybe there is a little bit of anticipation of what is coming next but then they are getting the opportunity to do it again. As a practitioner I love that. I try to focus on what I enjoy as a student and bring that into my classes. I also have my playlists. What I like to do with my playlists is have a lot of variety in styles of music. I had a friend who was a DJ with access to some really wonderful world music. I used to purposely have music on my playlists from all over the world. So there was a global feel in the music all throughout class. I don’t do that as much anymore. I listen to the music my fellow teachers play in class and just as we all do, vibe off what they’re using and try to play something similar or the same song. This has also freshened up my playlists and I enjoy them more. Then I adjust them for whatever the theme is for the class. What kind of themes do you work with? My themes in general will have something philosophical, [they’ll] have to do with yoga scripture or sanskrit. I’ll often take one word and unpack it. I like to bring some kind of spirituality into the class, so it’s not just a physical experience. It enables the students to tie in an emotional and mental experience. I want them to think and engage in themselves and their practice in a more dimensional way. I can remember in my early days of practicing before I was a teacher, even though I was a dancer, asana was very new to my body and challenging. You could say in a lot of ways it was overwhelming. If people are having a bad day and you don’t give them something to think about, it’s very easy for them to think about their bad day throughout class. Or they’re thinking about lunch — they are unengaged. Teachers who are giving some kind of dharma talk at the beginning of class, that baseline of always giving something to the students to think about and consider while they’re practicing — I love that. You have a quote on the solemarch page of your website. “SOLEMARCH is about being empowered but not arrogant. Being kind for its own sake, not as a form of currency or manipulation. Finding your footing, finding your voice. And being yourself in a world that rewards conforming to the norm. This is an ongoing project for myself.” Can you talk more about finding your voice as a teacher and as a person? [Finding your voice] is about how we live in a world with a lot of noise — everything you see and read in your social media feeds. Finding your voice is about learning how to tune out all the noise and tune into yourself. Very often people ask me about solemarch, it’s a big thing on my website, it has its own page. I’ve codified and developed it over time. Essentially it’s my message. It’s my philosophy and is in every single class I teach. It’s about using all the different practices of yoga for self discovery and empowerment. I was talking about discernment a little earlier. Learning and discerning are big ones for me. Solemarch is quieting all the chatter, being empowered and lighthearted, finding your footing. Being in your body, on your feet, your voice, your true sense of self. Being yourself in a world that rewards conforming to the norm. When did discernment really strike true with you? In my yoga experience, I had a moment when there was a crisis of faith. We all have them throughout our lives— you know, things and people that challenge you. When a crisis occurs, allow yourself the time and space to sit back and evaluate someone’s words and actions as well as your own. Whether the crisis is big or small, they all teach and inform us; they are the teachers in our lives. They push us at certain moments in unexpected directions. Whether it’s big or small, there’s always an opportunity to get to the good stuff. You think and discern what is best for you — ‘what is my lesson in the situation, what do I need to do more of or less of.‘ The willingness to change your mind, sometimes that can be really hard. Who are five teachers you recommend the Setu community take class from? Thank you Sangeeta! It was lovely learning about your practice and the intention behind your teaching.